Despite Australia owning the tag of being a multicultural country, there is still a lot of ignorance surrounding the different traditions, cultures and values of our adopted citizens. So many people from so many different countries have ended up calling Australia home, assimilating into our ‘culture’ and learning what it is to be an Aussie. While many have brought their own country’s customs and traditions over here, unless we have immersed ourselves in a particular ethnic community, it is likely that much of these would remain a mystery to us. Perhaps it is the geographical distance between our country and most of the others that have caused this ignorance, or perhaps we just don’t care as much as we should. But if that is the case, then why are we more familiar with some countries over others? Why do we seem to know more about Italy, France and America than we do about Kazakhstan, Uruguay or Slovakia? Is it because they are better tourist destinations, more developed, or is it because they are places we have grown up hearing about and visiting? Why do some European nations stand out more in people’s minds than others? This is a question that British-born Ben Coates asked as he travelled around the world, ultimately ending up stranded at Schiphol airport, the main international airport of the Netherlands. Calling a friendly Dutch girl for help, whom he had met months earlier while sailing around Cuba, Ben was invited into her home for dinner and then never left, moving to the country for good. In this book- part travel narrative, part historical guide- he explains his perceptions of the country, and how it differs from his previous expectations. Despite Britain’s close proximity to the Netherlands, he found that he actually knew very little about the country, instead basing his knowledge on the typical stereotypes of tulips, clogs, windmills, marijuana and the red light district (a stereotype that much of the world holds onto, it would seem). Aiming to dispel these labels, and find the true heart of the country, Ben travelled around the waterlogged cities of the Netherlands, visiting the larger metropolitans of Amsterdam and Rotterdam, and travelling through some of the smaller, lesser-known towns and villages. He met a variety of interesting people, experienced the food and culture of each area and learnt of the rich history associated with each place. He also investigated what sets the Dutch aside from other Europeans, including their fairly liberal yet practical attitudes, their intense love of football (soccer), and their associations with dairy, bicycles and the colour orange. This book, which blends Ben’s experiences with the facts he has learnt, is both informative and enlightening, and teaches a lot about a country that is relatively hidden from everyday knowledge. I was unaware of some of the things he talked about- despite being half-Dutch - and I’m sure my own dad (whose parents were born in Holland) would find some of the information in this book quite revelatory, were he to read it. 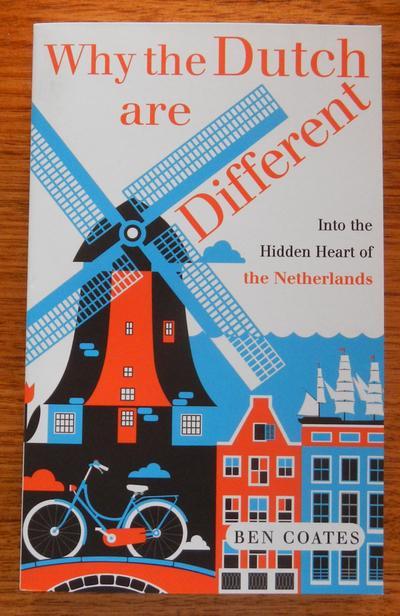 If you want to learn about a fascinating nation that is both hidden yet accessible, then this personal portrait on why the Dutch are different could be the book you are searching for.